3d Men With Red Puzzles PowerPoint Templates And PowerPoint Themes 0912-"Microsoft Powerpoint Templates and Background with men puzzle circle"-"Men puzzle circle, metaphor, business, teamwork, advertising, success" Create your domain with our 3d Men With Red Puzzles PowerPoint Templates And PowerPoint Themes 0912. Give your thoughts a distinct abode. Fresh concepts are ever evolving. 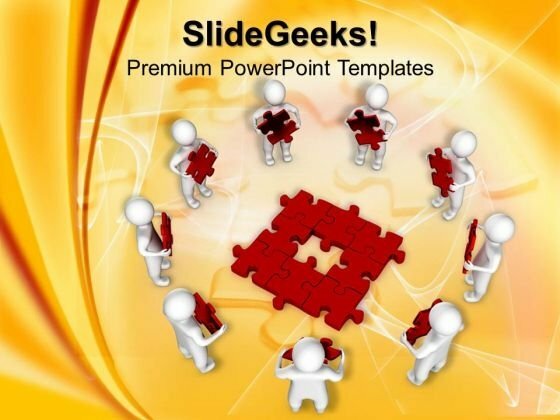 Help the audience absorb them with our 3d Men With Red Puzzles PowerPoint Templates And PowerPoint Themes 0912.